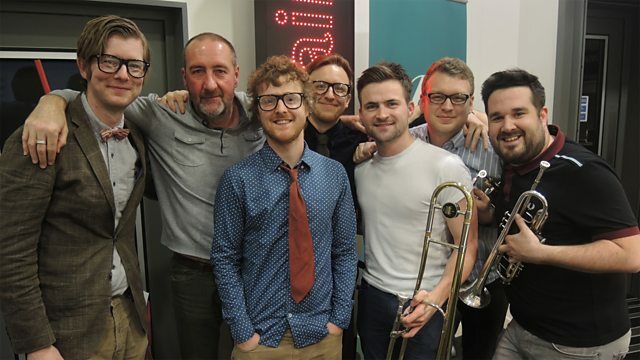 Public Service Broadcasting in session for Marc Riley on 6 Music. Their new album The Race For Space is out in February. This album follows Top 30 debut LP Inform - Educate - Entertain, released in May 2013. The first single off the album is called Gagarin and has a 6-piece brass section and a 5-piece string section.